I have a bookcase in my classroom/office that has lots of homeschool books and curriculum on it. All homeschooling families have these bookcases packed full of textbooks, workbooks, and everything else you need for homeschooling. I also have an attic full of old curriculum, too. No big deal right? Until you find out that my baby, who is now 20 years old, graduated three years ago. I still have all the books. I have curricula in my attic that my oldest, who is now 24 years old, used in elementary school. I have all the books that all three of my kids read all through school. What a mess it is up there, don’t go in my attic! Note I am not a hoarder, in truth, I’m a minimalist. I can’t stand having lots of stuff all around. I want to be surrounded by things that I love and things that mean something to me or my family. So why haven’t I gotten rid of any of this homeschool stuff yet? I mean, it drives me crazy seeing this bookcase packed full of stuff that I’m not using. I try to ignore the stack of homeschool stuff that is on the other bookcase and don’t even get me started about my craft cabinet. I have a few things in there too. This stuff needs to go! But why on earth have I held on this? Because I think I still want to hold on to their childhood, even though they are grown, adults. By getting rid of these books, means an end of a chapter of my life that was near and dear to me. It means we’re really are done homeschooling, even though I’ve technically been done for three years. I didn’t realize this attachment I had to these books until a friend of mine who is homeschooling her high school son was looking for curriculum. I decided to see if I had anything she needed and when I did, and she wanted to buy them, it hit me, this wave of emotion. I was surprised by all the emotions that I had. I was excited that I was able to help her, but also surprised that I felt a little sad too. As I looked over each textbook for writing, I remembered lessons, laughs, tears and more that I shared with my kids when we used those books. When I stacked them on my desk and my kids came through and saw them we laughed at how much they hated that book, or how tough that math was or how easy that one was. Oops! There’s the one we never got around to. I honestly struggled with the emotions that I felt. I wanted to help my friend and I was truly excited that I was able to help save her a lot of money and bless her homeschool. But the other part of me was torn with realizing yet again, that I no longer have little kids. I have adults. I love my adults and they have turned out to be pretty darn amazing! So, I cried a little when no one was looking like we moms do. I tried to make a mental picture of our homeschooling days and remember that we will always have those memories, the good and the bad. But, it’s time to focus on this new chapter of our lives, the one with three grown adult children. I have loved each stage of parenting and this is part of me continuing to grow up as an adult. I don’t think we ever really stop growing up, or should I share learning and growing? So, I happily parted with my books, thrilled that they would be a blessing to my friend and the next people to receive them. I prayed that they would help her son. I mean, I need to get rid of these books, I am no longer homeschooling. 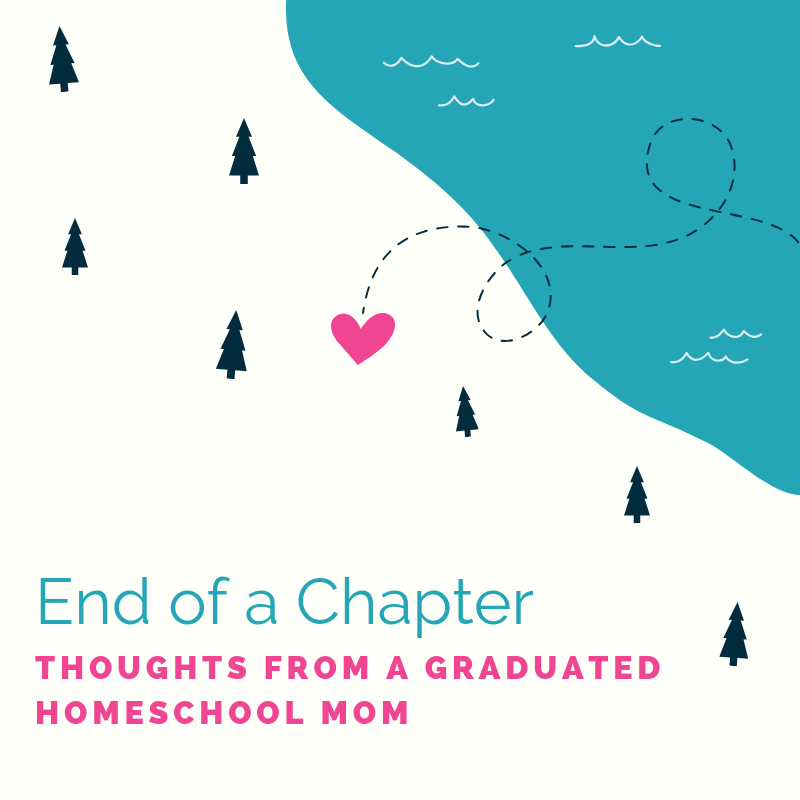 I am a graduated homeschool mom! I survived and made it from Preschool to graduation with all three kids! Getting rid of these books should come with some type of celebration. We celebrate their graduations, why can’t we celebrate this too? I will! I will celebrate being a graduated homeschool mom! So how will I celebrate? By turning the bookcases into space from my blog and Etsy business. I will be able to organize my office the way I want it, maybe even a new paint job. As far as the money I make from selling my curriculum, I’m going to use it for something special. I don’t have that picked out yet, but I think I did deserve something from my years of teaching. After all, I do feel like I went through school four times, once when I went and once for each child I taught. I deserve more than a diploma and so do you! There should be a party for homeschool moms for when we graduate our last child because we have graduated too! I need ideas and suggestions! What have you done after you were finished homeschooling? Did you celebrate your accomplishment? Did you immediately sell off everything or did you hold on to it? If you haven’t finished yet, what do you think you’ll do? Send me your thoughts, I’d love to hear them!